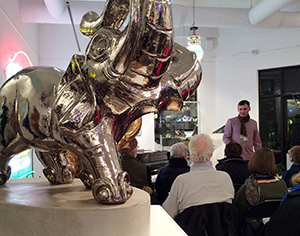 The Ekphrastacy literary program is a series of artist talks + poetry readings held regularly in the Heights Arts gallery, in conjunction with our special exhibitions. Cleveland-area writers are invited by the current Poet Laureate to view the installed artworks and respond with a poem. Four weeks after the exhibition opens, the artists talk about their work and the poets read their poems, often resulting in a surprising dialogue. Participating poets receive an honorarium for their participation. Ekphrastacy evenings—centered on recent exhibitions of photography, paintings, works on paper, sculpture, and mixed media—have been very popular, drawing large and enthusiastic audiences to the gallery. A popular poetry event that is now an annual occurrence, Heights Arts marks each April, National Poetry Month, with the presentation of its lively Haiku Death Match. This “fun”raiser for literary arts programming pits eight of the region’s best and bravest writers of the ancient, Japanese 17-syllable form against each other in a fierce competition for audience approval. Pairs of poets read their original Haiku aloud, and the audience votes for the poem they like best. Low-scoring contestants are eliminated, and the last poet standing is declared Haiku Death Match Master. All Northeast Ohio poets and writers are invited to participate. Online entry forms are available via the Heights Arts website in January of every year. See EVENTS for a complete listing of upcoming literary events. 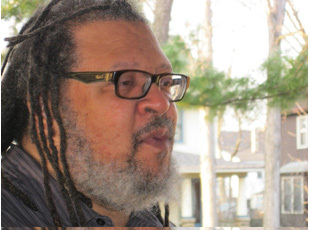 In 2005, Heights Arts and the City of Cleveland Heights named its first Poet Laureate to create programs that infuse poetry into community life. 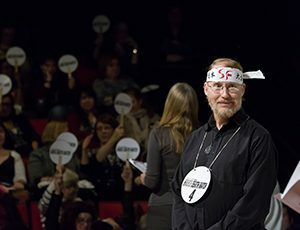 Collaborations have included the lively Haiku Death Match, Twitter poetry project (PoetTweet), community workshops, and our ongoing Ekphrastacy series. 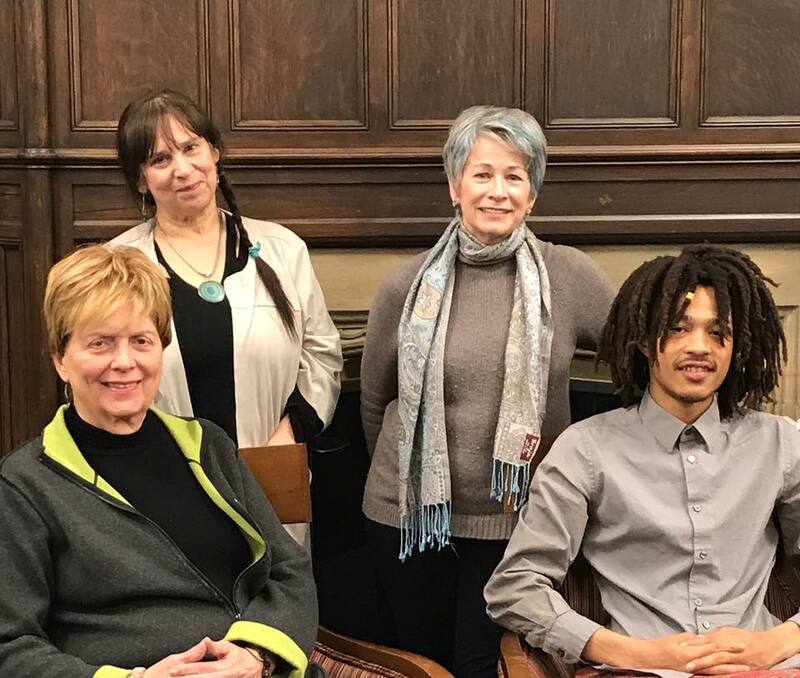 The ninth and current Cleveland Heights Poet Laureate serves for a 24 month period, beginning April, 2018, and concluding at the end of March, 2020. Modest about his own accomplishments and abundant creative energy, Faithwalker says “My role as a poet has been to provide access.” Committed to encouraging others to tap into their creativity and to tell their own stories, he may be best known as the co-founder, 18 years ago, with Vince Robinson, of the NIA coffeehouse, an open-mic poetry venue where all are welcome. Faithwalker is also owner of Left Thumbprint Solutions, a social media, organizational, and arts network consulting company. “We work with companies, cities, and school systems, but lean toward projects that involve the arts, culture and community.” he says. Cleveland Heights is suburban bliss. and her husband. Don’t know about him. Creating poems and origami, Kathleen Cerveny was a hit as our last Pop-Up Poet of the summer at the Nature Center at Shaker Lakes. Shelley Chernin used ukelele, words cut from magazines and her own collection of books of poetry to attract library patrons to the PUP booth. She sang (yes, in a library!) “Come write a poem with me…” an original song she wrote to engage people of all ages to create poetry. Some people wanted to hear her read, others wanted to sit and write. It was an afternoon of words at their best! Shelley writing with a young man. Words and music attract everyone! constructed by Ted Ferringer, P.J. Doran and Jason Radcliffe. Many thanks to them for making our Pop-Up events more portable! Cindy Washabaugh works with a young poet. Dianne Borsenik regaled passers-by with her poems and invitations to read with her or just listen on Saturday night in front of Mac’s Back’s Books on Coventry Road. Current poet laureate, Cavana Faithwalker, was there to help distribute poems and give poetic support. People paused, applauded and were sometimes persuaded to share their own poetry. Thanks to Dianne for her generosity and creative, energetic spirit! Dianne becomes a “beat” poet. Cavana Faithwalker launches Pop-Up Poetry outside of the Heights Arts gallery on Lee Road. Cavana set up in the mini-park near the gallery which was having an opening of their show, Materiality. Many people stopped to sit awhile with Cav and co-write a personal poem which he finished and e-mailed to them afterward. Cavana shares a word or two with a potential poet. The Poet is IN! Heights Arts presented Pop-Up Poetry June-August 2012. Pop-Up Poetry was a project designed by 2011-12 Cleveland Heights Poet Laureate Cavana Faithwalker to bring some of the region’s most interesting poets to the streets. The centerpiece of Pop-Up Poetry was a portable booth created by architect Theodore Ferringer and furniture designer Patrick Doran. A radical update of Lucy’s “Psychiatric Help 5 cents,” the booth sets up, unfolds like an umbrella, and the poet is in business!